A study conducted by an international team of professionals from the Health Management Field of Northern Almeria (Área de Gestión Sanitaria Norte de Almería), as well as from the Universities of Granada, Castilla-La Mancha, Málaga and Cambridge has for the first time associated the emergence of mental disorders in a population after severe flooding. 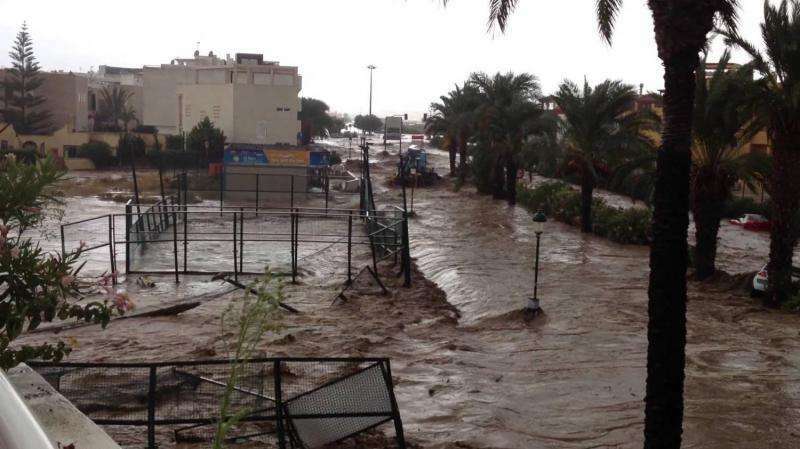 Their work, published in the journal Public Health, collected the results of a project conducted after severe floods occurred in Eastern Almeria [Spain] in September of 2012, an area that was left severely affected by the storm. In order to carry out this work, the researchers first conducted a study of extreme rainfalls from 1935 to 2012, with the help of a geographic information system, which showed extremely high precipitation occurring in 2012. The objective of this study was to determine the incidence of post-traumatic stress disorder symptoms in this population following exposure to severe torrential rainfalls and a large flood. To this end, a team of primary care doctors coordinated by Virginia Gil Aguilar interviewed those seen in primary care in the affected area. Post-traumatic stress disorder is a condition that arises as a delayed or late response to a stressful event or an extremely life-threatening or catastrophic situation (short or long). Lead author Andrés Fontalba said that the incidence of mental disorders increased considerably after the flood. He added that these disorders can persist after the event, highlighting the importance of planning and efficient responses. The researchers found that the factor with the greatest impact on post-traumatic stress disorder in the community was the economic loss related to the disaster. Juan Pedro Arrebola, researcher from the University of Granada and the Biosanitary Research Institute of Granada and co-author of this study, indicated that this type of study is very important in identifying groups that are especially vulnerable to these catastrophes, and helps establish more suitable preventive measures. The researchers noted that the key is focusing on possible preventive and intervention procedures. Not surprisingly, reforestation measures have been the most widely used methods to control floods and diminish sediments deposited by the water basins affected by extreme precipitation events. Trees facilitate the interception and infiltration of water in the soil and diminish runoff. Given all of this and taking into account the effect that floods have on mental health, these are more than appropriate measures to mitigate the effects of flooding.